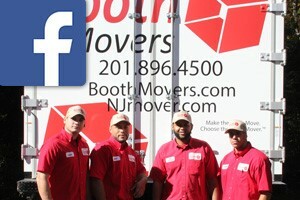 Booth Movers moved my furniture from Vernon, NJ to Bayside, NY. I was very pleased with the way the move was handled. The company is very professional. George came to give me an estimate and it was very accurate. I received a call when the movers were on their way. They wrapped everything and moved everything without any incidents. Savage and Walter did a great job. I would recommend them to anyone who is in need of a mover.